Please enter text (incuding spaces) upto 20 characters in length only. Note: "Prayer", "Faith" and "Blessing" are standard to the design. 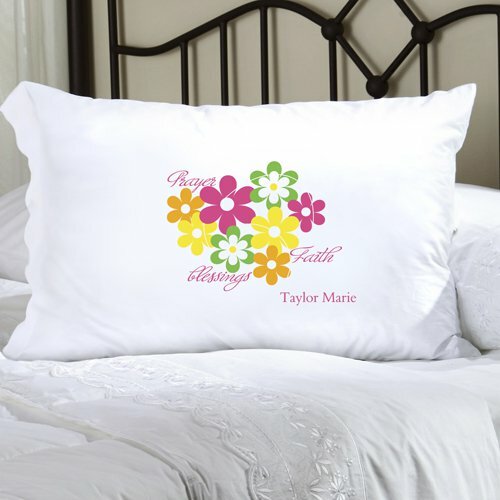 Our Personalized Flowers and Faith Pillow Case brings together the beauty of flowers and a message of faith. 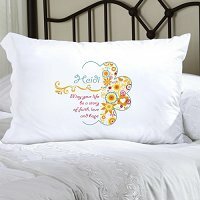 Excellent bright flowers are highlighted by some of the most important aspects in ones spiritual life - prayer, faith and blessing. "Prayer", "Faith" and "Blessing" are standard to the design.